You are about to buy an original Skype Credit Gift Card for $10. It works in all countries and for all accounts. Add funds to Skype you can call the family and friends to mobile and landline phones around the world. Voucher for $10 gives you about 400 minutes of calls. The account is replenished almost instantly. 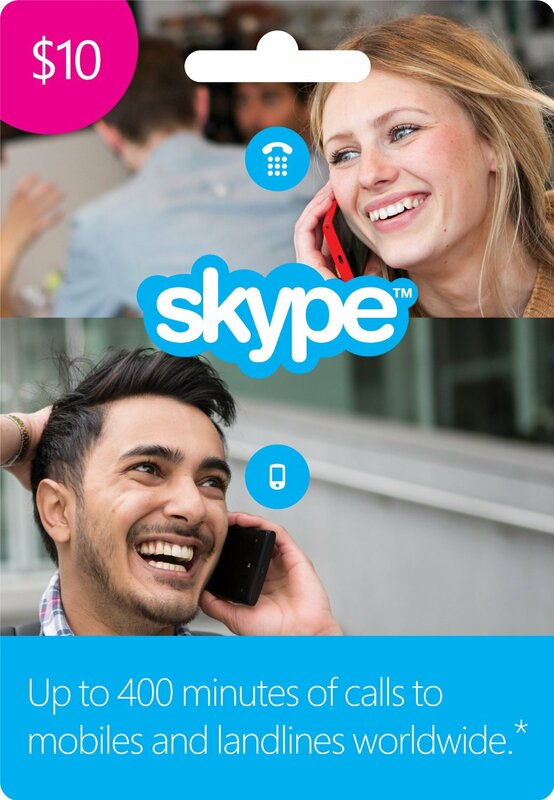 To make calls you´ll need Skype application on your device. You can use Skype on the following platforms: Windows desktop, Mac, Linux, Android, iPhone, Windows Phone, BlackBerry, Nokia X, Amazon Fire Phone, Modern Windows, iPad, Android tablets, Kindle Fire HD, Xbox One, iPod touch, PlayStation Vita.